International Yoga Day is celebrated annually on 21 june since its inception in 2015. Yoga Day was declared by the United Nations General Assembly (UNGA) on 11 December 2014. Yoga is a physical, mental or spiritual practice attributed mostly to India. The Indian Prime Minister Narendra Modi suggested the date of 21 june, as it is the longest day of the year. International Yoga Day is also called Yoga Day or World Yoga Day. International Day of Yoga 2015 was celebrated in New Delhi first time. Yoga is an invaluable gift of India’s ancient tradition. The first full moon after summer solstice is known as Guru Poornima. Shiva, the first yogi is said to have begun imparting the knowledge of yoga to the rest of mankind on this day and became the first guru, Adi Guru. 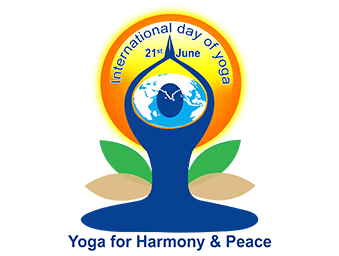 The first International Day of Yoga was celebrated world over on 21 june 2015, 35985 people, including Narendra Modi and a large number of dignitaries from 84 nations, performed 21 yoga asanas or postures for 35 minutes at Rajpath in New Delhi. The event at Rajpath established two Guinness World Records awarded to the Ministry of AYUSH and received by AYUSH Minister Shripad Yesso Naik. The two records were for the largest yoga class, featuring 35,985 people and for the largest number of participating nationalities(84 nations).The 3 rd International Day of Yoga Will be held on june 21 st 2017. Gurudev Shri Shri Ravi Shankar will lead the celebrations at Himachal Pradesh, India. Antarastriya Yog Diwas aims to raise awareness worldwide of the many benefits of practicing yoga. The word ‘Yoga’ derives from Sanskrit and means to join or to unite, symbolizing the union of body and consciousness. The theme for the 2017 celebration, organized by the Permanent Mission of India to the United Nations, is ‘Yoga for Health’. The theme highlights the fact that yoga can contribute in a holistic way to achieving an equilibrium between mind and body.Yoga gives the people calmness, confidence and courage. Yoga is a type of meditation which gives everyone lot of peace and make them aware. It gives everyone joy and happiness. It is very important for the people to know all the effects of Yoga. Yoga gives the people lots of energy and refreshment of the body.Yoga also opens the third eye of the people to look around the world with lots of ideas and plans to development. Yoga is very necessary and beneficial for all human being if it is practiced by all on daily basis in the early morning. It is a worldwide event celebrated by the people of all countries through practicing yoga. World Yoga Day or International Day of Yoga will be celebrated by the people throughout the world third time on 21 st of june in 2017 at Wednesday. The celebration of the event International Day of Yoga is supported by various global leaders. It is celebrated by the people of more than 170 countries including USA, China, Canada etc. It is celebrated on International level by organizing the activities like yoga training campus, yoga competitions and so many activities to enhance the awareness about yoga benefits among common public all over the world. Folding the both hands in the IDY Logo symbolize Yoga, the union, which reflects the union of individual consciousness with that of universal consciousness, a perfect harmony between mind and ody, man and nature, a holistic approach to health and well being. International yoga day Wednesday 21 june 2017 We have many prayanam and poses and their importance,ahead of the international yoga day 2017, and the widely use prayanam called nadi sodhan prayanam and its importance. Nadis are the energy channel in our body&#39;s that could get obstructed due to many reason.the nadi shodhan pranayama is a breathing technique that helps clear these blocked energy channels,thus calming the mind.this technique is also known as Anulom vilom pranayama.there are different causes of the blockage of the nadis like due to stress, due to the toxicity in the body and physical and mental troma. It can also be obstructed due to an unhealthy lifestyle. You must practice nadi shodhan pranayama yoga as it helps relax the mind and prepares it to enter a meditative stage. Practicing it for just a few minutes daily will help the mind calm, keep it happy and peaceful. It helps in releasing accumulated tension and fatigue. Step1. Sit comfortably with your back straight so your spine is erect and shoulder are relexed . Smile. Step2. Place your left on the left knee with the palms open end facing you. Step3. Take the tip of your index finger and middle finger of the right hand and place it in between the eyebrows.the ring and little finger bare to be kept on the left nostril with (use these to open or close the left nostril), the thumb. On the right nostril also used to open -close the right nostril. Step4. Press the thumb down on the right nostril and breath out gently through the left nostril. Step5. Now breath in from the left nostril and then press the left nostril gently with the ring finger and little finger,removing the right thumb from the right nostril breathe out from the right. Step6. Breathe in from the right nostril and exhale from the left. This way you can complete one round of nadi shodhan prayanam ,you can continue in healing and exiling from alternate nostril but make sure to froce the breathing and keep the flow smooth. When you use the finger ,place them very lightly and do not apply pressure. There are over 300 positions in the physical yoga practice, but these poses can start you of on the right path.